We produce over 2.5 quintillion bytes of data each day. Use our Data Management Platform software to easily collect and manage data about your users and run more effective, optimized campaigns targeted at precisely chosen audience. - how to deal with rapidly growing amount of data? We live in the age of data. Every day users leave thousands of digital footprints - tweets, photos, visited websites. It can be collected and integrated to target digital audience accurately, but there are still a lot of not personalised campaigns, which irritate users. 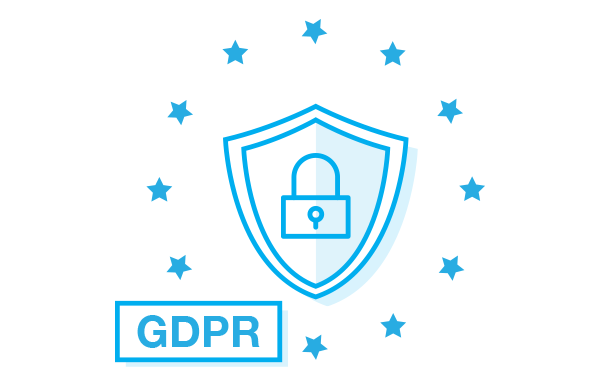 So how to use collected data to make profits and stay in compliance with the GDPR? Managing data is not easy because digital footprints are often chaotic, scattered and generated by bots. To take control over data, companies use Data Management Platforms (DMP) - a technology that helps to improve digital activities by better knowing their users, delivering them the right message at the right time and checking if the stored data is generated by human. The DMP technology is dedicated to companies of various sizes, which collect more and more data about users and want to monetize it by preparing more efficient marketing activities. It is extremely useful for e-commerce, publishers, media houses and marketing agencies. Why do you need a DMP software by OnAudience.com? DMPs help you improve your digital campaigns. The platform makes it easy to manage all customer data and build custom segments dedicated to the upcoming campaigns. Use OnAudience.com DMP and divide your customers into specific products, markets or attributes and deliver them tailored messages to the right audience group. By using our technology you get access to one of the world’s largest database of clients’ profiles - find your new clients among over 27 billion profiles worldwide. Easily collect customer data from various sources: websites, apps, business partners on one centralized platform. Divide your clients into specific segments and build new audiences to deliver highly personalised messages and increase your sells. Find target groups among your clients and reach out them by licensing created groups to global DSP platforms. Divide your customers into markets, age or interests and deliver them personalised ads to increase efficiency of your marketing efforts. Make sure that your campaigns are delivered to real humans, not bots. Spend your marketing budgets more effectively by reaching out to precisely chosen group, such as your best converting users. Save time and money by targeting the right audience. OnAudience.com is one of the world’s largest data warehouses. By using our DMP you get access to over 27 B client profiles from 200 markets worldwide. Build segments you need and find new customers from all over the world. 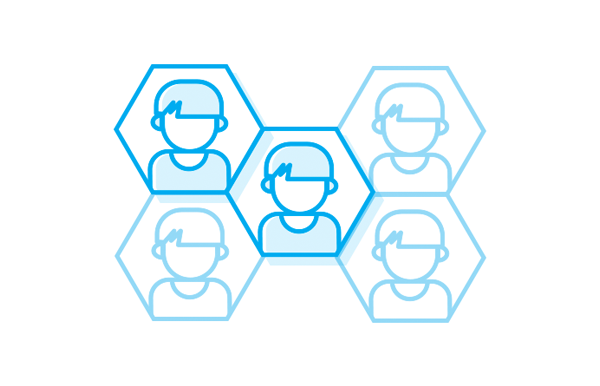 All data you collect on DMP is safe and automatically subjected to the anonymization process. OnAudience.com use an alphanumeric identifier for every device about which we store data. That makes personal data you possess non-personally identifiable, so you comply with GDPR. Fill the gaps in your customers’ profiles to create a full view of your clients. 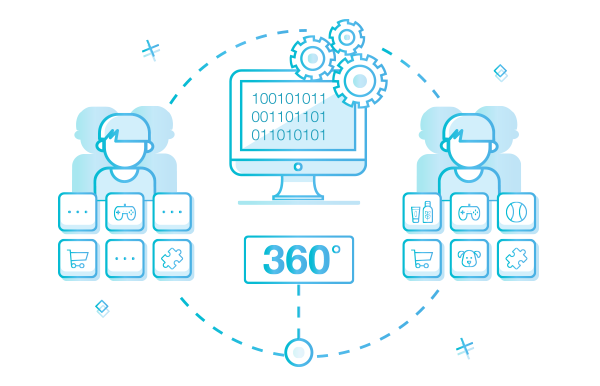 If you have an email or telephone number of your users, enrich profiles with 3rd party data - interests, demographics and purchase intentions to create 360-degree customer view. Thanks! Your Customer Success Consultant will contact you as soon as possible. OnAudience.com DMP makes it easy to analyze profiles of online customers. You can automatically generate reports that include interests, demographics and purchase intentions of your users. We find behavioral patterns and show what attributes are specific to your online customers, e.g. if visitors are mostly young people from big cities, interested in travels and technology. On the basis of the analysis, you can identify the most valuable clients’ groups and target them in highly personalized campaigns. In our reports, we present segments to which belong users who visited specific product sites, e.g., if your customers are interested in automotive or are going to buy electronics. Reaching out to the right audience is crucial for the effectiveness of online campaigns. DMP OnAudience.com allows companies to collect all data about customers from various sources and next divide them into specific segments. You can mix attributes (e.g., age, gender, interests, behavior) of all your clients to create audience groups for specific campaigns. Build various segments and run personalized campaigns - deliver your clients’ messages perfectly tailored to their needs. Created segments can be easily licensed to global DSPs and targeted in your campaigns. Build audiences that like specific products or activities, create segments divided into specific markets and show them accurate messages to improve relationship with your clients. DMP is a powerful technology that helps you improve your marketing activities. By analyzing your clients’ profiles you know exactly what they need. Data behavior and attributes of online customers are like a signpost for your marketing decision - what product you should promote in which groups? Which features you should expose? Check the profiles of your audience and discover what they desire. Armed with this knowledge you can prepare more relevant campaigns and achieve your marketing goals. Data-driven decisions will help you run highly effective campaigns, which leads to maximizing your sales. See our case studies and check how we used DMP to integrate data and conduct personalized campaigns targeted at precisely chosen audience groups. OnAudience.com is a trusted partner of leading adtech companies. 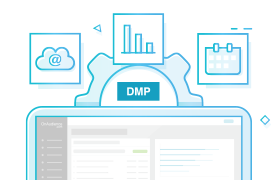 Our DMP is integrated with global DSPs, so you can easily run campaigns to selected target groups by using chosen platform. Find the right users, create a segment in DMP and license it to global platforms to reach out them in your campaigns via display ads, video, search or social media. You can create and target audiences that, e.g. buy your products regularly, spend specific budgets or spend a lot of time on your website. Build your target groups and try various marketing techniques, such as cross-selling or up-selling to increase your sales. Check how the DMP platform can help you to improve your marketing activities. Look-alike segments help you find clients who behave like your best converting customers. Find out how to use DMP and become GDPR-safe comply by controlling and anonymizing all data on one platform. Enter your email and let’s talk about implementing DMP in your business.